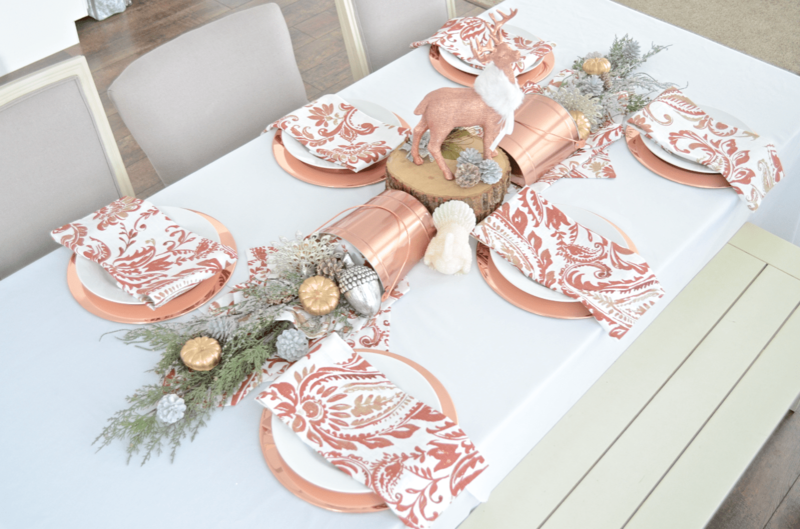 Using the same dinner napkins as a runner, set two stumps and copper half-buckets in the center of the table. Point the napkin corners outward, ironing the bottom one to keep the creases in place. 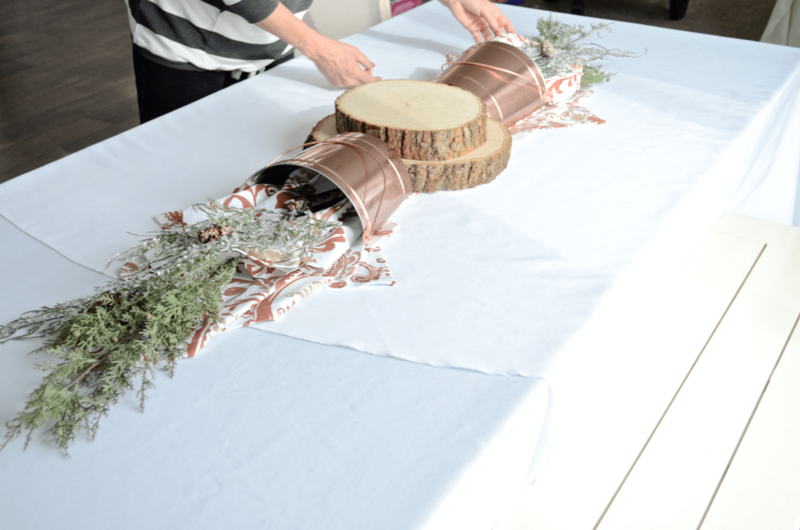 Using evergreen sprigs, layer them in-between the two napkins. Make sure to fluff the greenery and make it look natural. 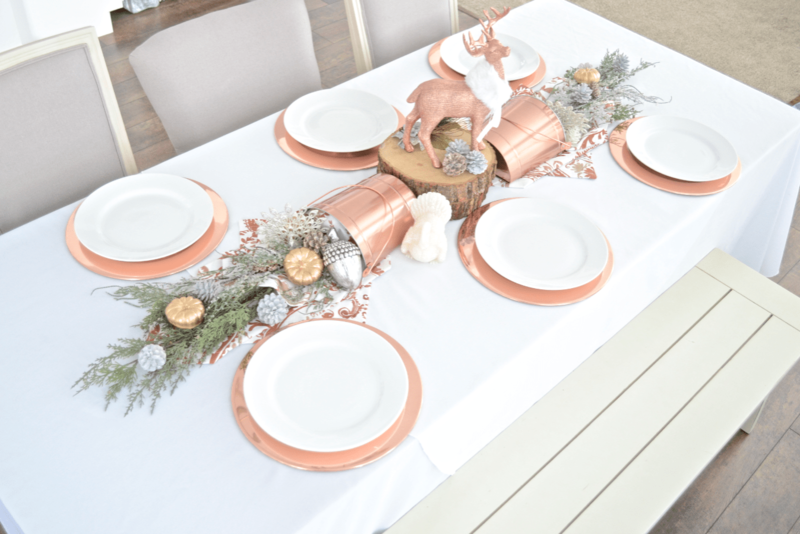 Add a couple white turkey shaped candles, copper buck, silver acorns, white pinecones and metallic spray-painted mini pumpkins to add dimension and texture. Theres no right or wrong way to do this, just make it look random and natural. Place the copper chargers and plates around the table. Add the ironed napkins and center over the dinner plate. 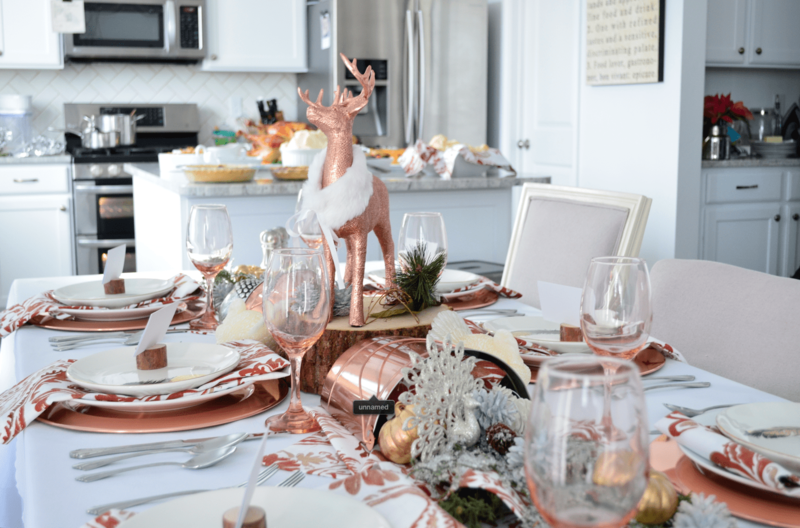 Add the pink stemware (from the Dollar Tree, BooYah!) 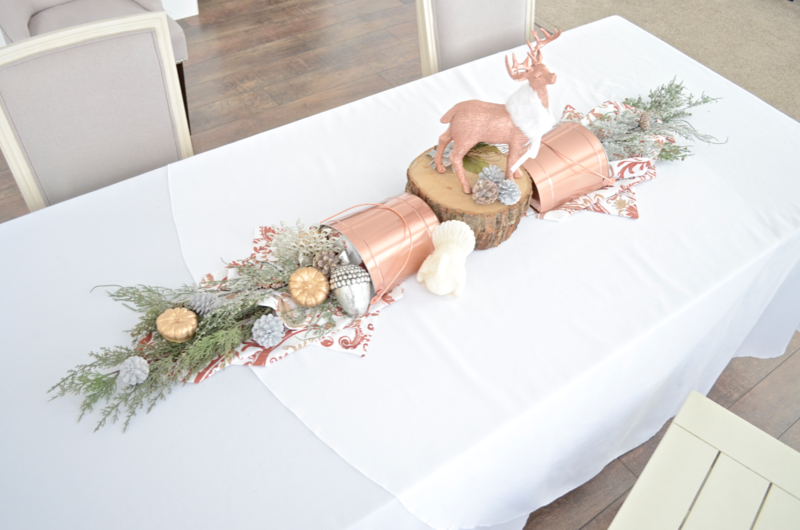 and decorative salad plates to the top of the napkins. 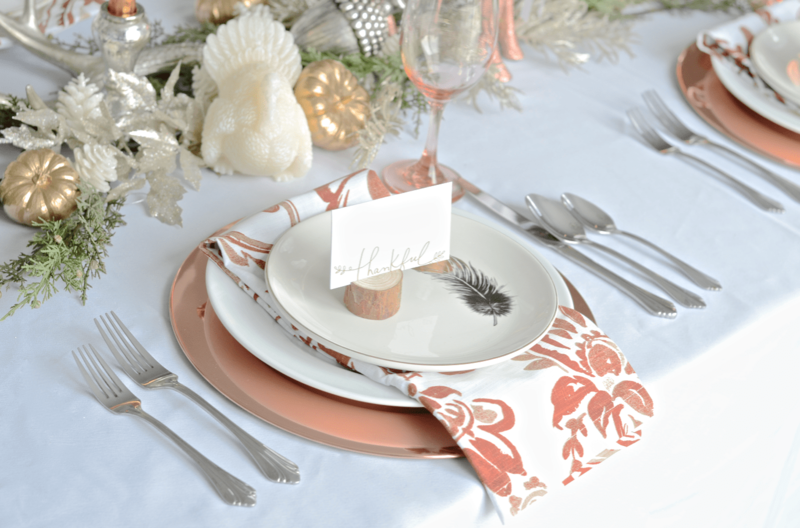 Finish with placecards on top of the salad plates and silverware. 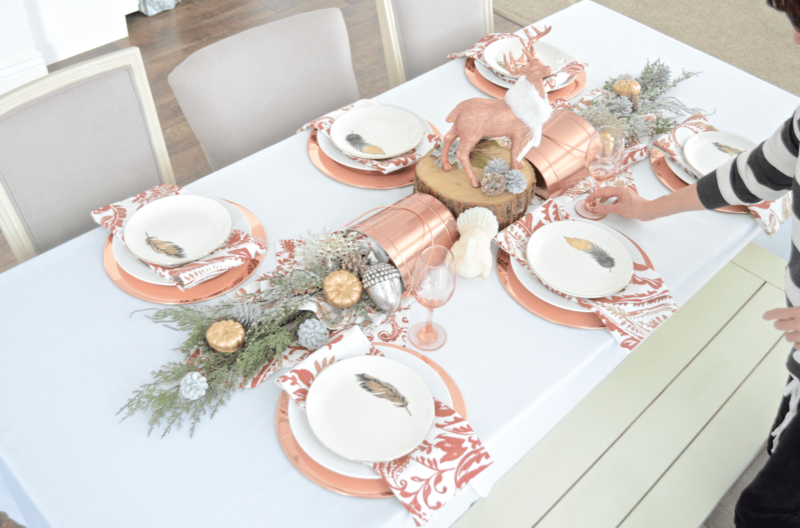 Then all thats left to do is to enjoy your Thanksgiving dinner surrounded by friends, family and loved ones. 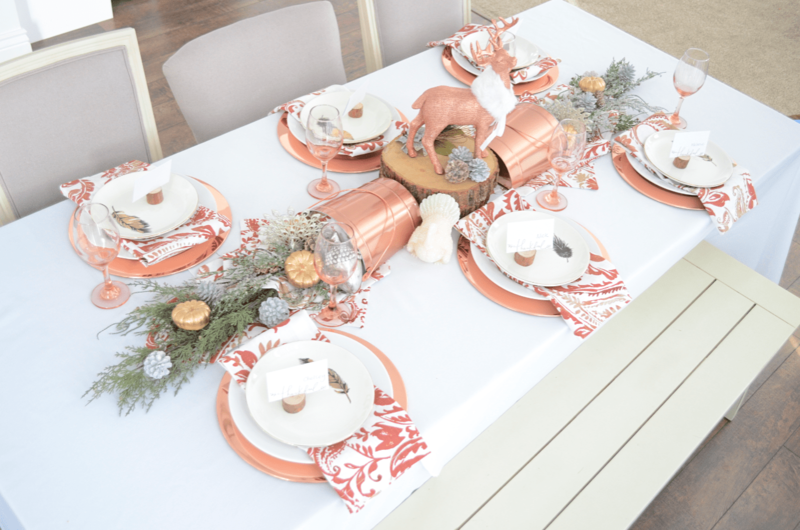 How do you decorate your table for Thanksgiving? What traditions do you love and carry on with your family?